298 sold in last 7 days. 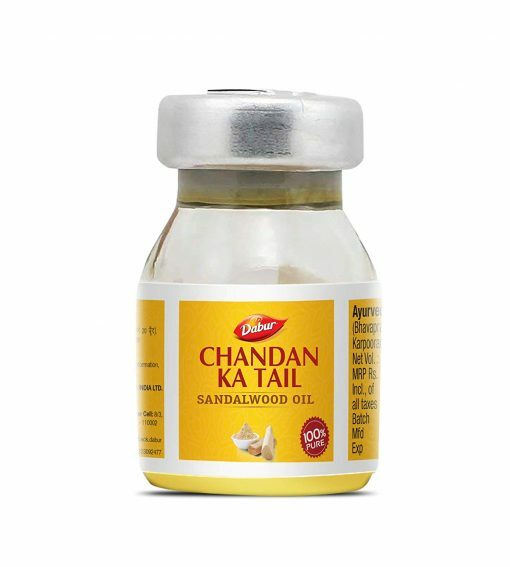 Get a Sunpet box worth Rs.48 for free with every piece of Dabur Sandalwood oil. 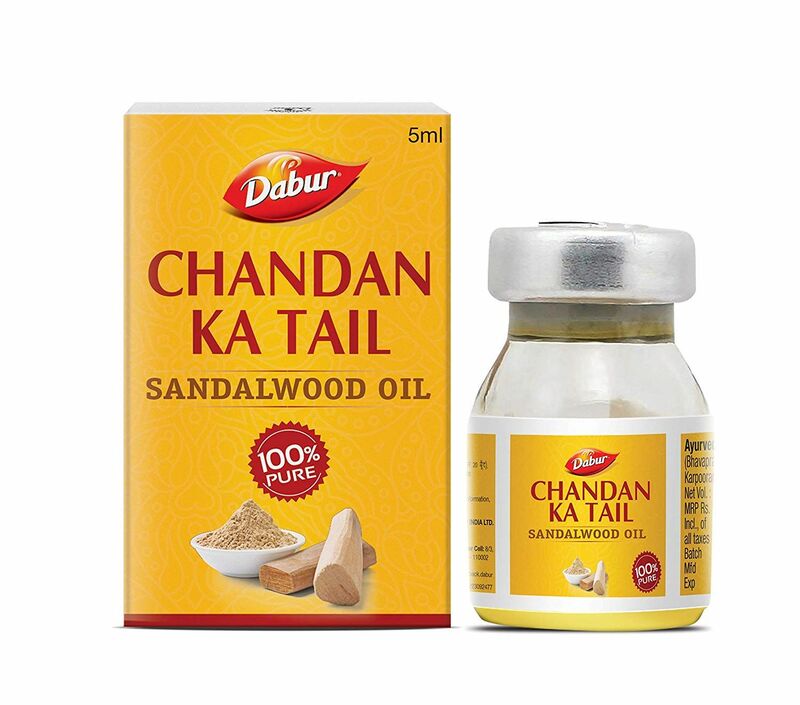 Dabur Chandan Ka Tail (Oil of Sandalwood) is a proven medicinal oil used for weight loss, treat pimples, dull skin, weight loss, cough, asthma, pain, Tuberculosis, Jaundice and a large number of other diseases. 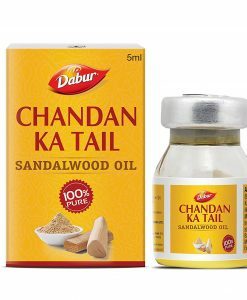 Dabur Chandan Oil is edible and can be taken orally. PURE AND NATURAL EDIBLE GRADE SANDALWOOD OIL: This 100% Pure and Natural Edible Grade Oil is used since time immemorial for addressing multiple ailments. GUARANTEED PURITY: We assure that this product is 100% pure and one whiff of it should help you understand the quality of the product. DIRECTIONS FOR INTERNAL USE: This product is to be consumed in very small amounts. It can be mixed with milk or drink of your choice. 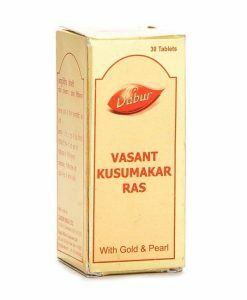 Considering the bitter characteristics of this oil, this product can be also be consumed with pouring a drop of it on banana or fruit of your choice to mask the bitter nature. Delivery is fast. 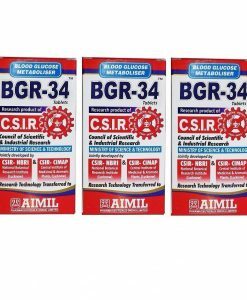 Product is really good.. Product is good. Delivery was fast with good packing. I think there should be proper nozzle for drop of oil. Delivery as Schedule, Product as Ordered. Got it today in just 2 days, great packaging. 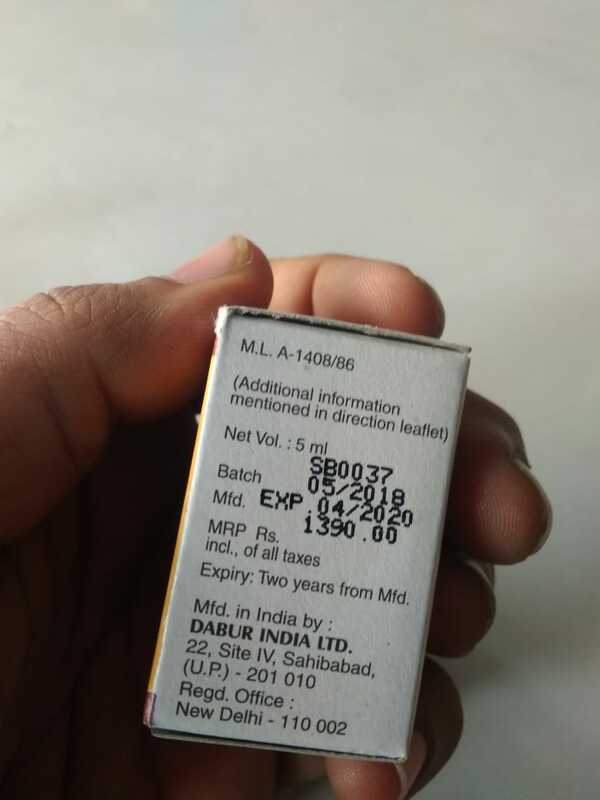 Expiry is far away. Seems to be good with mild flavour. It’s early to tell the results. 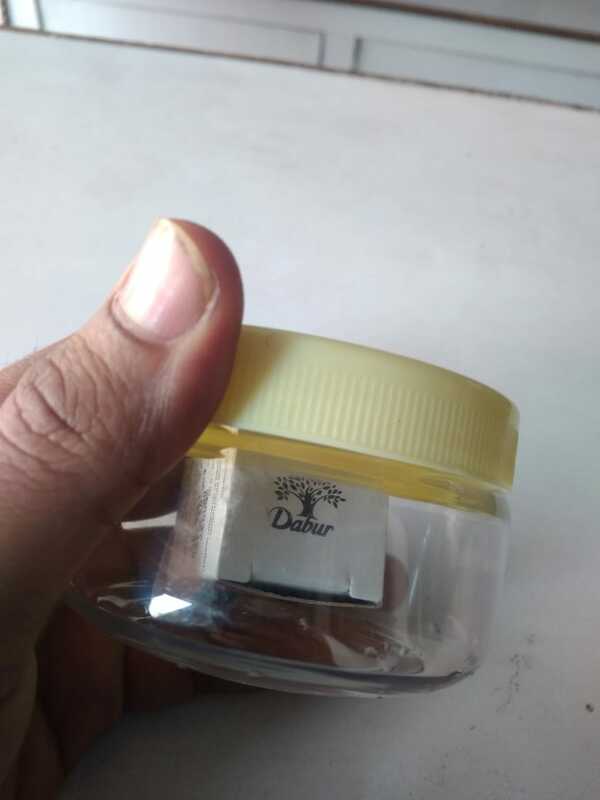 Fast Delivery within two days, good packing received intact product without any leakage… genuine product of course….far far better than Amazon for quality and packing wise .. will purchase again. Thank you. Any effect is yet to be observed. After 3 weeks I will comment. Now I feel better. That’s for now. The product was very nicely packaged and reached me intact. No leakage was found. well packed, on time delivery, genuine product. 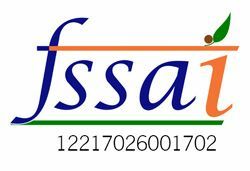 Liked the product and your service. Loved your original sandal wood product.Delivery was excellent. Please keep it up guys n keep on doing good service.Thank you once again for delivering original product. Really a good experience. Again I buy the product. Nice packing and early delivery. No leakage. 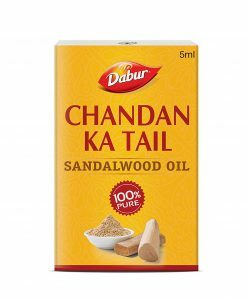 Loved the product… earlier I purchase little bee sandalwood oil which was not pure sandalwood oil, this time i order dabur sandal wood oil and I am in love with it. I got this delivered today. 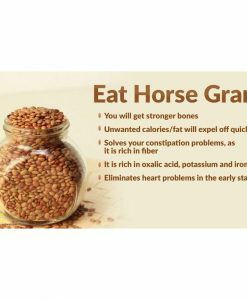 How much quantity or how you should take it? Kindly suggest. 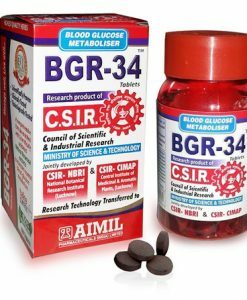 Like if diluted in water , what is the good amount and should it be taken after meals or before meals. 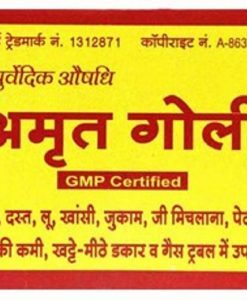 Since its an edible oil. 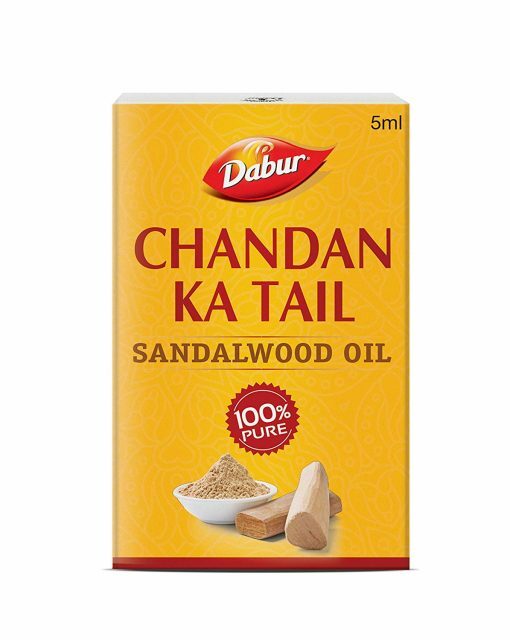 Add 1 drop of Dabur Chandan oil in 100ml of lukewarm water. 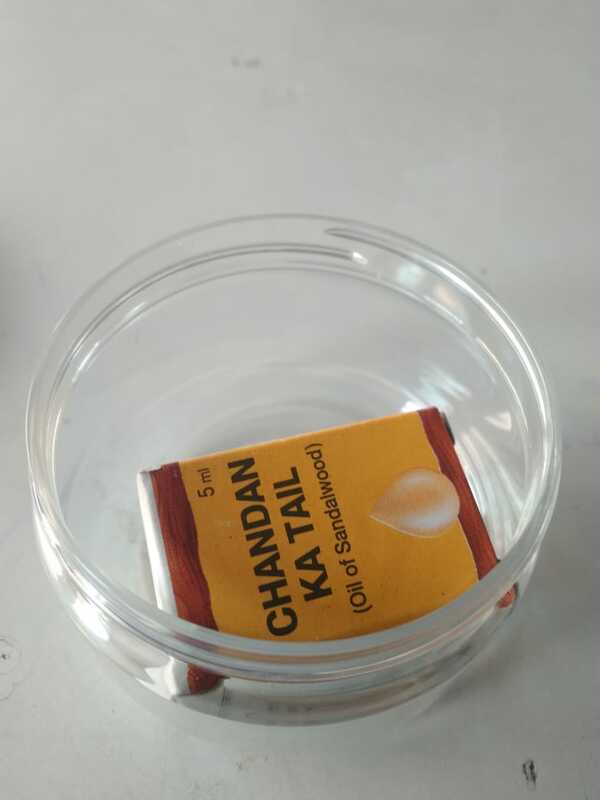 I lyk the way u guys have send the sandalwood oil. Fast delivery . Products was well protected in a plastic box. I liked it. I will order again in future. 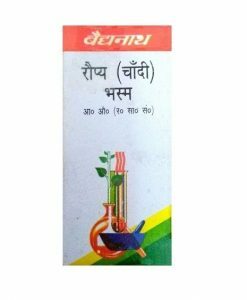 I m am very happy with the service of attar ayurveda. Nyc product. 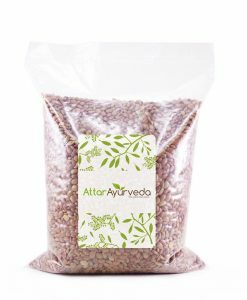 Am very happy with the service of Attar Ayurveda and i really appriciate it. 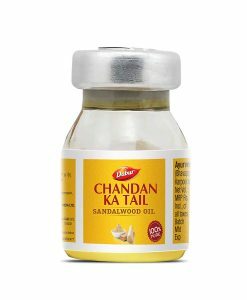 The price is a little bit high bt the product is very good with nice packing. fast service. Product was well protected in a metal box. I liked it, will order again in future. Keep it up.